Sunrise, Fla. – (February 23, 2018) – As Minto Communities begins closing out sales at Artesia in Sunrise, the residential development company is now offering personal hard-hat tours of its newest floor plan currently under construction. 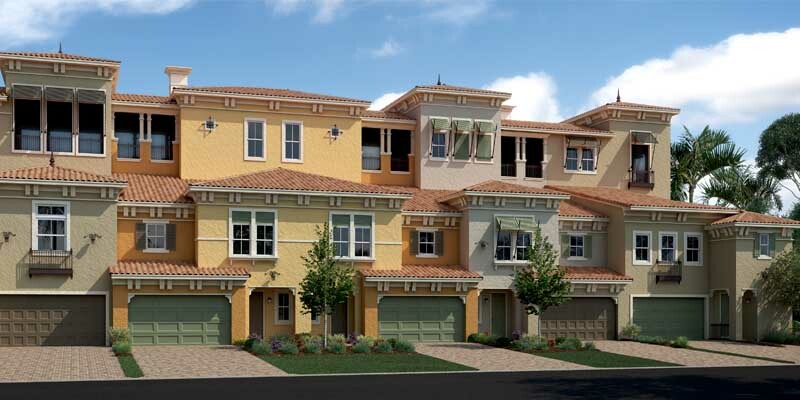 The four-story Sky Villas offer four- and five-bedroom designs ranging in size from 2,797-3,089 square feet. They feature gourmet kitchens, elegant master suites, and a screened-in penthouse terrace with spectacular panoramic views of the community and surrounding area. They also include a sky loft, two-car garage and private, maintenance-free rear yard. Prices start in the $500s. Land development started a year ago on this second and final phase of Artesia. Minto focused first on selling out the courtyard homes and is now turning its attention to the more spacious Sky Villas. There are 123 townhomes in this last phase bringing the total number of homes in Artesia to 837. Currently only 31 Sky Villas remain in the community, and for a limited time Minto is offering a $20,000 incentive for purchasers. and spa. There is also a great room for hosting parties and watching movies, sports lounge, library and business center and chef-inspired kitchen. Just outside the clubhouse is a beach-entry resort pool with tiki bar, lap pool, children’s interactive water and play area, and tennis courts. Artesia is centrally located amidst the area’s finest shopping, dining and entertainment. The community is across from the second most popular tourist attraction in Florida, Sawgrass Mills, as well as the BB&T Center. There’s also convenient access to the major highways including I-75, I-95, I-595 and the Florida Turnpike. Anyone interested in a private tour of the Sky Villas must make an appointment by calling 844-891-0651 or by visiting www.TourSkyVillas.com. Closed-toed shoes are required. The Artesia sales center is located at 12550 NW 29th Manor, Sunrise, Florida 33323 near Panther Parkway. Artesia’s unique Sky Villas offer four- and five- bedroom floor plans, gourmet kitchens, elegant master suites and private rooftop decks in addition to the resort-style community’s unrivaled amenities. Minto Communities, based in Florida since 1978, has represented integrity, financial strength and enduring value for 40 years. Minto builds exceptional new homes and communities to meet every lifestyle, with more than 25,000 new homes built in Florida in 46 communities throughout the state. Minto is dedicated to continuous improvement in design, quality and customer experience. Applauded and recognized as an expert in the home building industry, Minto was awarded “Best Floor Plans” from Ideal-Living magazine.